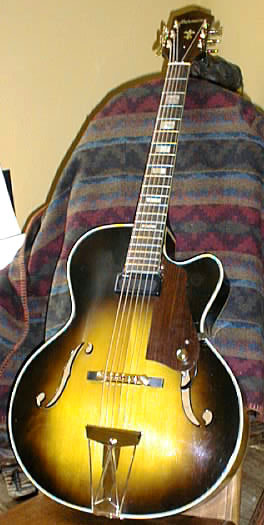 The inexpensive, mainly postwar, archtops that were produced for the US mass-market and distributed by Sears and similar outlets are often routinely dismissed by archtop collectors and players. To be sure very few Kays and Stewarts and probably no Harmonys can compete against even the low-end Epis and Gibsons of the same period. 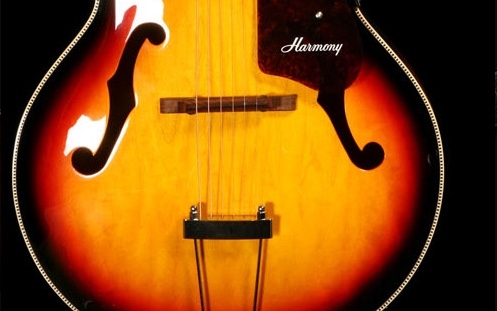 Still, it is necessary to recognize that some low-end producers were better than others, and that some low-end guitars may represent a lot of value for money. Here is a case in point, a very pretty SS Stewart. This unmarked guitar (but with similar binding to the Stewart’s) is also a good-looking specimen.